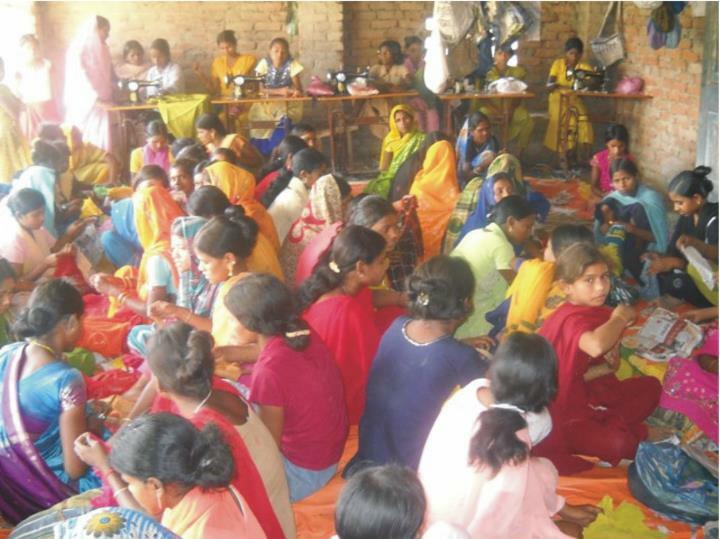 The waste cloth generated from the cities is channelised to some villages where women are learning stitching on sewing machines at a GOONJ training center. Apart from employment and income, the work helps to channelise vast quantities of waste and un-wearable cloth. In West Bengal women and young girls are also creating beautiful dresses out of the over sized clothes and cloth pieces that we receive. The most tangible result is hundreds of school kids with new trendy village produced bags!